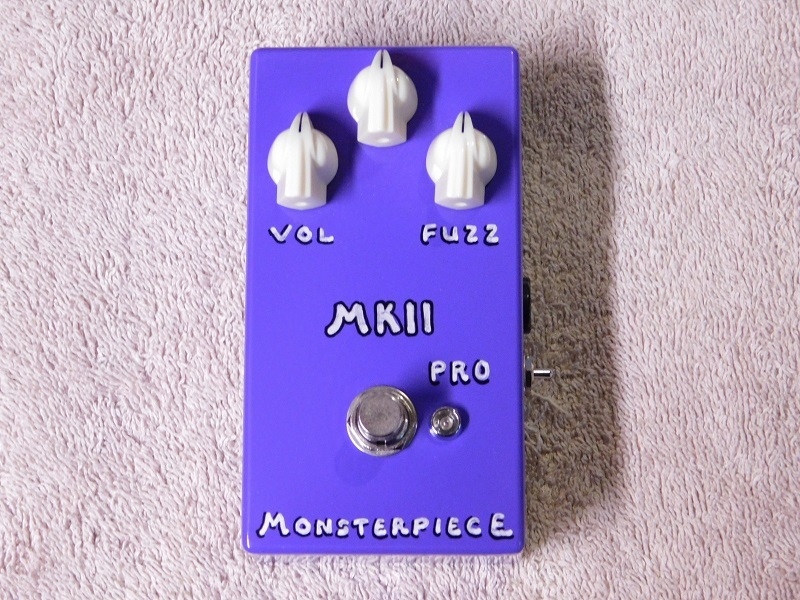 The Monsterpiece Mk II pro Fuzz is what happens when I take on the classic 2 knob sola tonebender Mk II professional circuit. This is a 3 transistor Germanium fuzz in which I use various new old stock Germanium transistors that are hand selected for proper gain & leakage for best sound in each pedal. External – Volume, Fuzz, Bias. 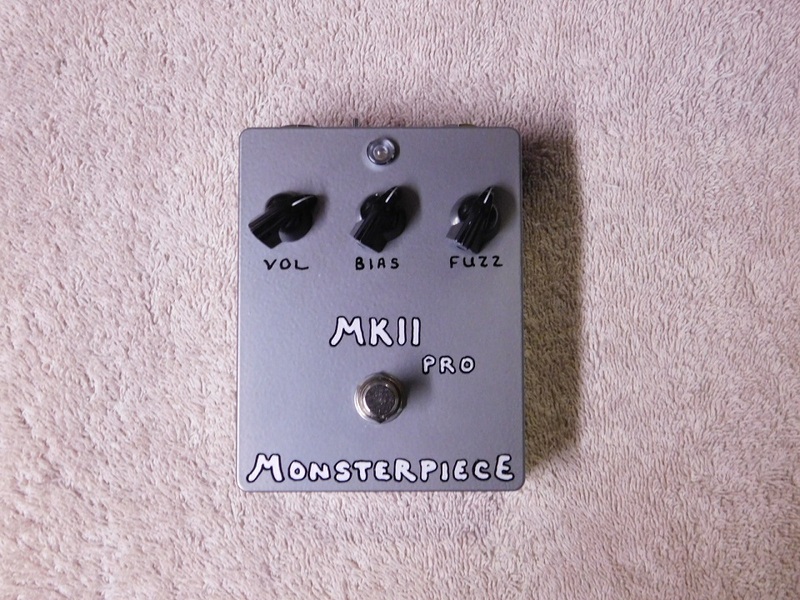 The Monsterpiece Mk II pro is can be powered with either a 9 volt battery (recommended), or with a standard 9 to 9.6 volt dc center negative barrel plug adapter (do not daisy chain power).